Yes that was my expression the first time I heard that as well. Tot per tu means ´all for you´ in Catalan,the language they speak here in Catalunya, Spain. Tot per Tu is also the Autism Support group my daughter and I attend for peers support as its set up by autism parents for autism parents like Shayne and myself. Also they provide therapy which is more economically then normal private therapy. This last one is very important for us , as the government decided that kids like Livia only can have therapy twice a month , which is absolutely ridiculous. Tuesday is therapy day for Livia. Her therapists Lydia and Laura are absolutely amazing! Today was a special Tuesday though because Neula came for a visit! 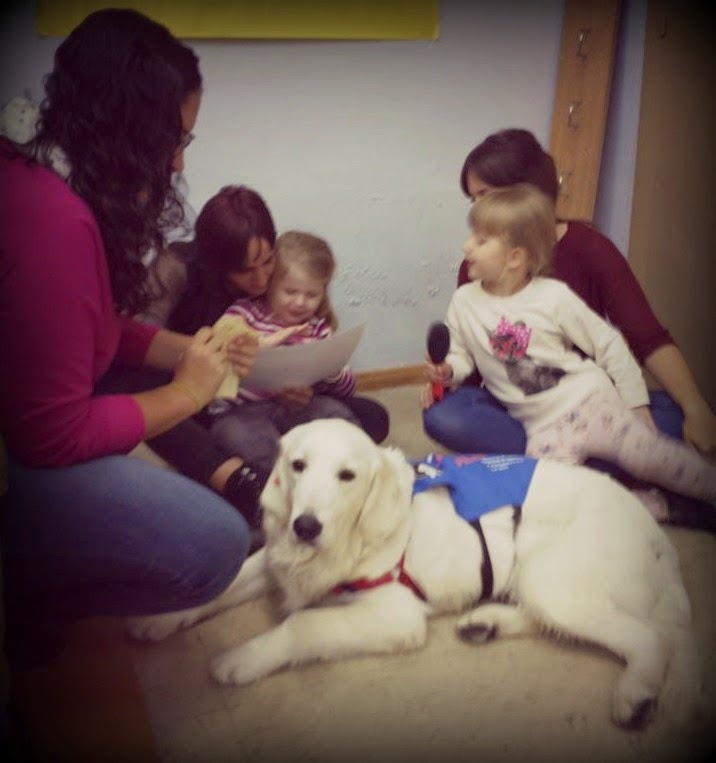 Neula is an assist dog for children on the spectrum. Normally she works in a daycentre for children with Celebral Palsy, but sometimes she comes to visit therapy sessions as well. Lucky us! Livia enjoyed it in the beginning, but got a bit overwhelmed later on. so many people around her as the other kids came to visit Neula as well. I hope she will join us more often, and hopefully one day we can welcome a sweet dog in our house. More about my daughters Autism you can find under the Autism tab on this blog. 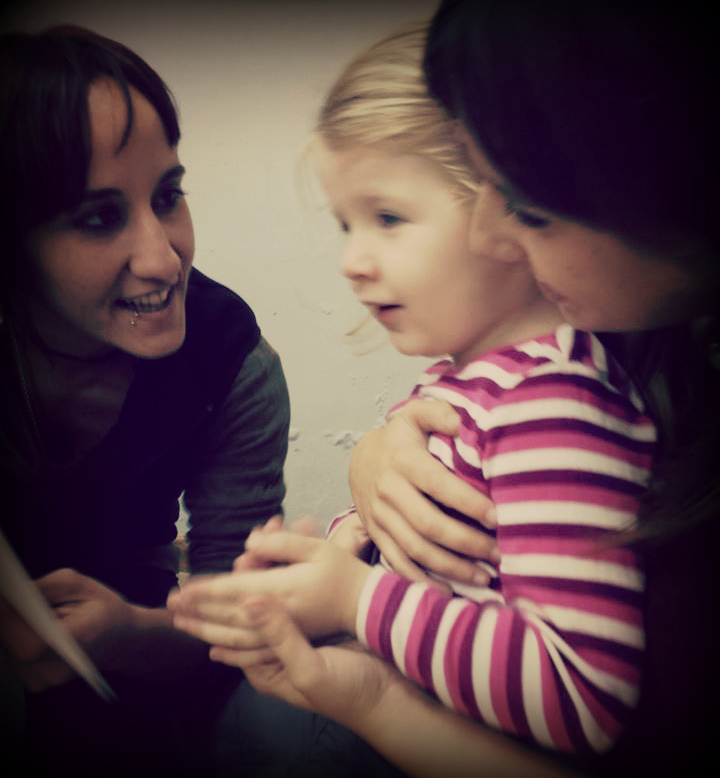 If you like to know more about Tot per tu , you can always contact me! Good.. people like this that help are the true heros in this world ! aren´t they , I absolutely adore them! 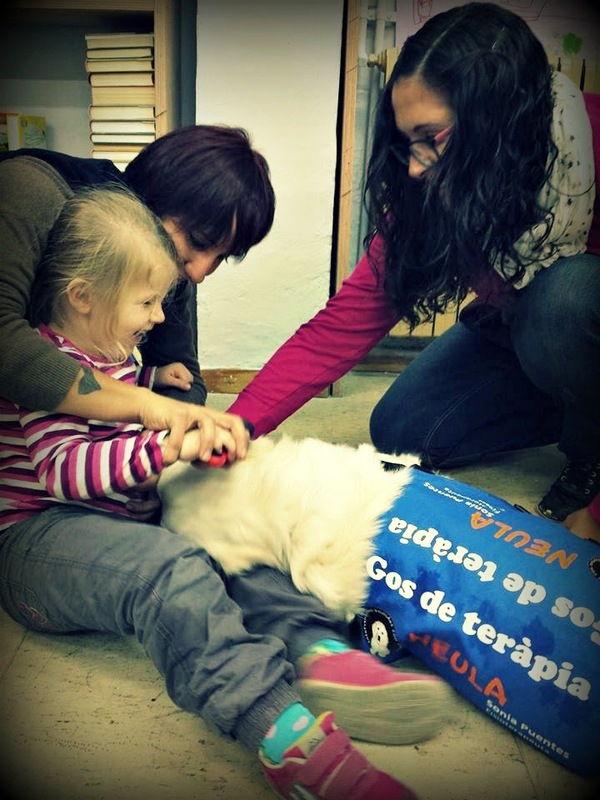 Fab story and lovely to see Livia enjoying the time with the dog, and Sofia looks happy too!